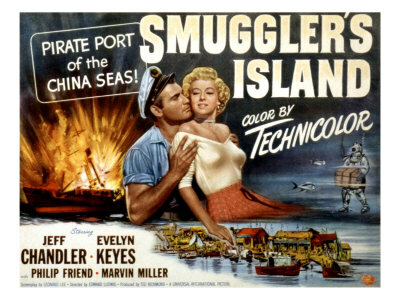 Its holiday time so I decided get away from the serious stuff, plus I promised a follow up article to my top five films on trade, smuggling and international crime. So I pondered at length my five favourite smugglers in film and fiction then quickly wrote this…. Han Solo; despite not having the magical powers of a Jedi knight, he was always the Star Wars character I most wanted to be, probably thanks to his devil may care charm, made flesh by the presence of Harrison Ford. Although it is clear in the film he is a smuggler it leaves us guessing what he actually smuggled (apart from of course Luke and Obi Won). Pablo Escobar, a man well represented in print and film, most vividly in the book written by his accountant brother Roberto. While the book doesn’t exactly gloss over his psychopathic tendencies, it does give him the Robin Hood treatment, emphasising his charity to the poor in Colombia. While drug barons have come before and after, none come close to the legend that is Escobar, a seemingly fearless man who rose to become a major supplier of cocaine to the US in the 1980s when demand was taking off in a big way, he used innovative methods such as transporting his wares by submarines in his attempts to evade the authorities. Although there have been many attempts to bring his story to the big screen, it looks like a Brad Furman directed effort will be released in 2014, along with another production; Paradise Lost featuring Benicio Del Toro as the man himself. Special mention should go to the memorable story arc in Entourage which followed the build-up and aftermath of making a film about Escobar, which ends up being an unwatchable mess, thanks to mercurial director Billy Walsh going off the rails on set in Colombia. Tony Montana – another cocaine baron, but this one a fictional figure based in Miami. Arriving from Cuba, Tony soon gets mixed up in the wrong sort of crowd and eventually he cuts his own deal with a Bolivian supplier. The action moves back to Miami, where he fulfils the American dream setting up his own drug empire, in the process he becomes overprotective of his sister and starts “testing the product” a little too often, all leading up to a fantastic carnage filled finale in a mansion that seems to have been an inspiration to Middle Eastern despots and premiership footballers ever since. “Mr Nice” – the tale of grass lovin’ Howard Marks has been told in both film and print, while I preferred the book, Rhys Ifans plays Marks just how I imagine him. Our protagonist takes the journey from stoned Oxford physics student to a major league drug dealer, entangling with the British secret service, IRA and CIA, via Ibiza, Afghanistan and all the way to a stint in a US penitentiary. What makes the book distinctive and not just a procession of drug transactions is Mark’s charisma, which burns itself onto the pages. You would definitely have a pint with Mr Nice, unlike the other four guys on this page, who would probably rip you off or kill you. Auric Goldfinger – Goldfinger smuggled gold out of the UK by beating it into the armour of his car, then driving it to Switzerland and recasting the gold into aeroplane seats, which he then flies to India, selling it on at massive profit. Of course smuggling is just the precursor to the main crime of stealing (in the book) or irradiating the gold (in the film) in Fort Knox (in the film). Goldfinger makes for one of the big screens’ most satisfying and memorable villains, with his megalomania, greed and obsession with the shiny yellow stuff making him the perfect foil for Bond.